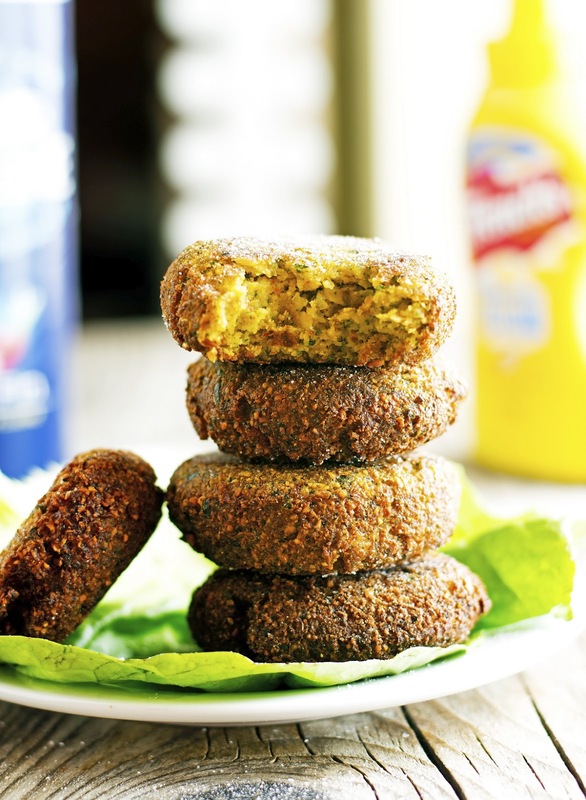 For those of you who don’t know, falafel is a simple fritter of ground chickpeas, filled with garlic and herbs and fried into a glorious, filling, and inexpensive food. 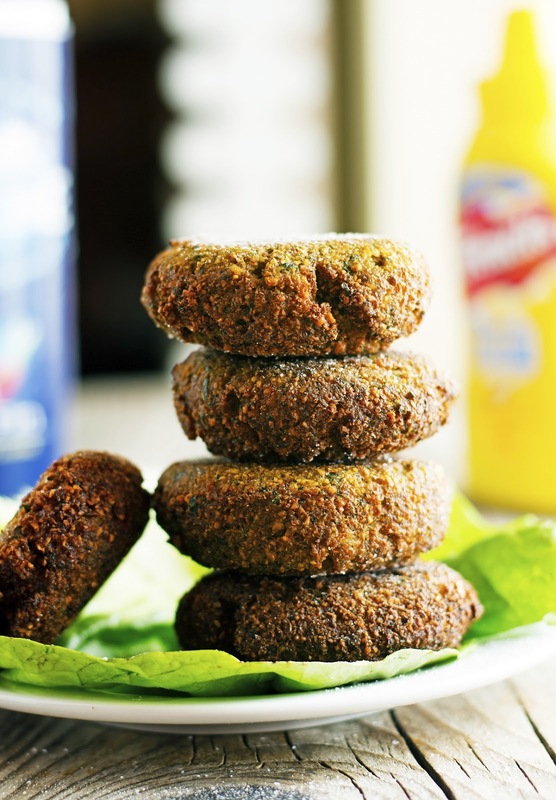 Falafels are typically eaten wrapped in pita bread and topped with yogurt sauce, lettuce, and tomatoes. But when I make ‘em at home, I’ll eat them straight-up with just a dip of tzatziki. In this version I’ve added a bunch of “stuff” to traditional falafels to make ‘em even more nutritious and yummy: Onions, bell pepper, parsley, mint, dill, ground cumin, etc. You might argue that these Green Falafels are just a distant relative of the traditional falafel but trust me when I say that they are truly delicious and that you’re going to love them just as much. Unlike most of my recipes that tend to be pretty quick and simple to whip up, this one needs some planning as you’ll have to soak the chickpeas overnight. But that’s about it, once soaked, these green falafels are super easy to make. Plus you can customize the recipe any way you want: you can change the herbs, the spices, or even the veggies. As long as you keep the ratios about the same. I know a lot of home cooks are wary of frying because it seems a tad dangerous and messy. Instead of deep-frying these falafels, a simple pan-fry will quickly and easily brown the fritters without making a huge mess. I like to use my 12-inch cast iron skillet, but also a heavy-bottomed Dutch oven works like a charm. The high sides will reduce splatter and keep your cooktop cleaner. Packed with good-for-you ingredients, these Green Falafels are so yummy you won’t be able to stop eating them! Green Falafels Print this recipe! Fill a large bowl with cold water. Add 2 teaspoons of baking soda and stir until completely dissolved. Add chickpeas and add more water to cover them completely if needed. 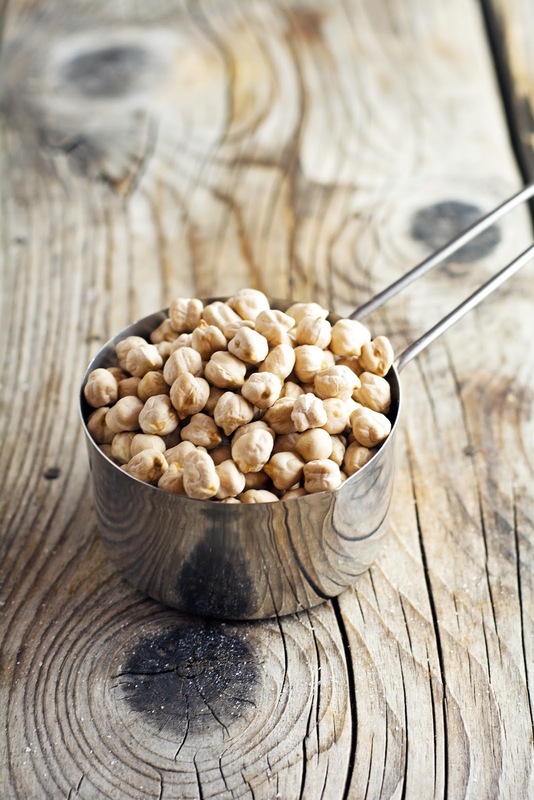 Drain and thoroughly rinse the chickpeas. Place them in the bowl of a food processor and add celery, onion, bell pepper, garlic, herbs, spices, salt, remaining ½ teaspoon of baking soda, and flour. Pulse until the texture looks like a fine meal. You might need to stop and scrape the sides of the bowl a couple of times. Transfer the mixture to a large bowl, scoop 2 scant tablespoons and with dampened hands form into balls (or small discs). Repeat to make about 24 falafels. Place falafels on a baking sheet lined with parchment paper and let chill in the fridge for about 1 hour (overnight best). When ready to cook, fill a skillet with vegetable oil (you’ll need about 1-inch depth.) Heat over medium-high heat and when hot fry the falafels in batches for about 4 to 6 minutes, until golden brown. Fish the falafels out of the oil with a slotted spoon and place them on a plate covered with paper towels. Serve immediately with lemon yogurt sauce or tzatziki. 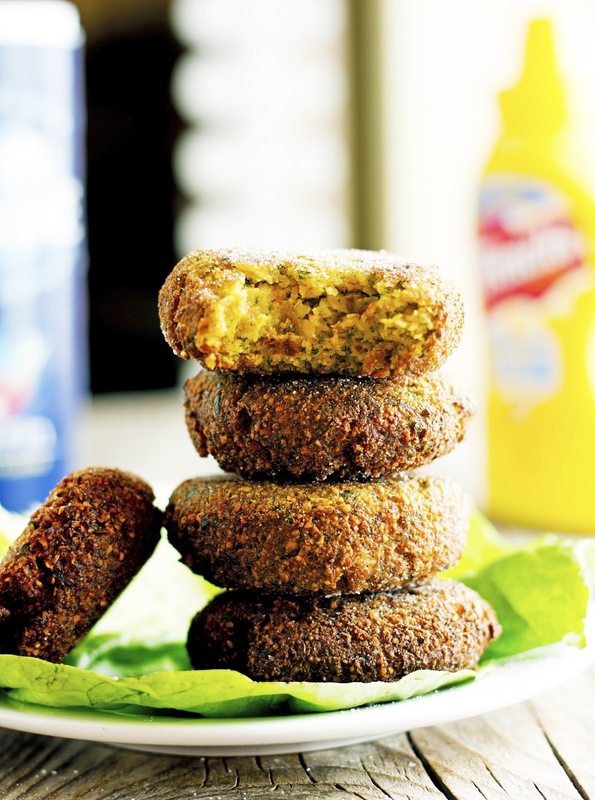 One falafel yields 58 calories, 3 grams of fat, 5 grams of carbs, and 2 grams of protein. I've been eating this in Europe! Delicious! Thank you for the recipe, gonna try it myself!